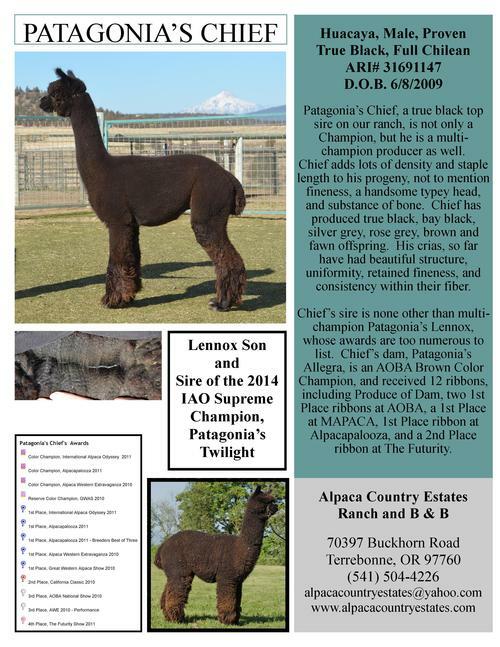 4x Champ, Sire of 2014 IAO Supreme Champion! La Jefa is a lovely true black female with excellent bloodlines. 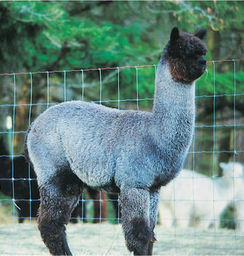 In 2004, she was assessed as an "A-" by Amanda VandenBosch, a Senior AOA Halter and Fleece Judge. 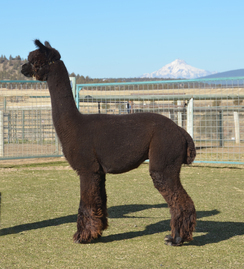 For Keva's first breeding, we chose our 6x Champion Snowmass Majesty in Moonlight whose genetics carry the finest white with a well balanced option for Elite Color. She is due in September 2017. On 9/2/2017, Keva had ESTATES MAJESTIC KIEV, a beautiful white female sired by Snowmass Majesty in Moonlight.